Residential Cleaning Services, Doctor Phillips, FL | Proclean Properties Inc. Residential Cleaning Services, Doctor Phillips, FL | Proclean Properties Inc.
Don’t let cleaning your home stress you out– let us help with our quality cleaning services! Everyday activities in your home can leave wear and tear on your furniture and flooring. It can often be difficult to keep up on household chores and bigger jobs like upholstery cleaning, but our team at Proclean Properties Inc. is here to help. With our quality residential cleaning services, your home in Doctor Phillips, Florida will look good as new. Whether you need floors, upholstery, carpet, or tile and grout cleaning done in your home, our team can handle it all. We use only the best cleaning solutions and materials to ensure you get a great clean without any harmful side effects. Our team is very thorough as well, so you can count on residential cleaning services that will be done efficiently and with great attention to detail. We offer many different kinds of residential cleaning services. We are happy to offer these services on a regular basis, around the holidays, or for important, one-time events. At Proclean Properties Inc., we want our cleaning services to make your life simpler, so you can focus on the other responsibilities in your life. You won’t have to worry about breaking your budget for quality cleaning services because all our residential cleaning services are affordable. When you need cleaning services from a reliable team, call Proclean Properties Inc. We will make sure your home is completely taken care of, and you will love the results. 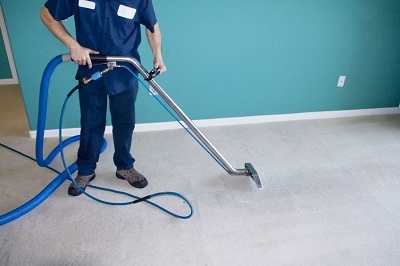 Our cleaning services will make your floors, furniture, carpet, and more look as good as new. Contact us today! At Proclean Properties Inc., we offer residential cleaning services in Orlando, Windermere, Winter Garden, Winter Park, Oviedo, Longwood, Wekiva Springs, Apopka, Lake Mary, Sanford, Doctor Phillips, Ocoee, Waterford Lakes, Maitland, and Altamonte Springs, Florida.